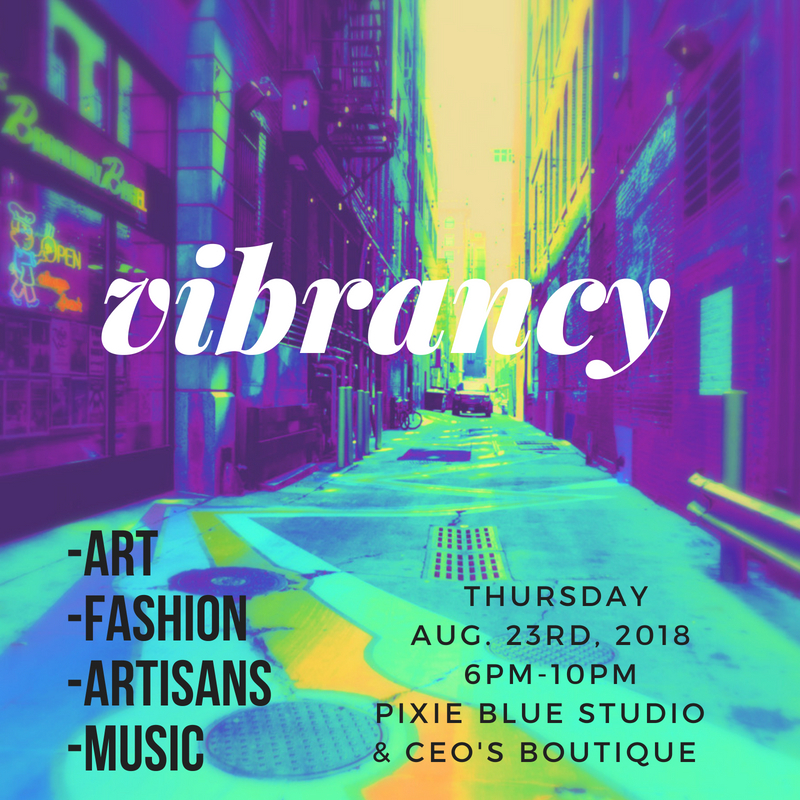 Pixie Blue Studio and CEO's Boutique are co-hosting - Vibrancy - pop-up event created around ART - FASHION - MUSIC and everything related to the lifestyle of Vibrant Living. Join us at both locations for a casual fashion show with live models, art exhibit, artisan items, live & playlist music, eating healthy, wellness and more. Light refreshments served.